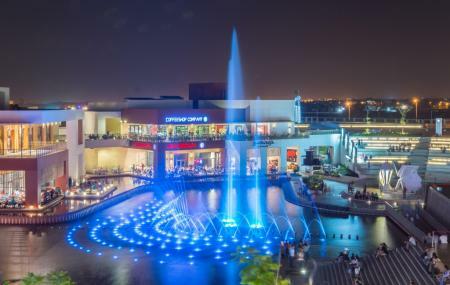 The Festival City Mall in Cairo is a one stop shop with heaps of entertainment. You can spend an entire day here shopping here of chill at the many cafes. You could also treat yourself to some yummy food at the restaurants in the mall. The malls see a whole lot of shoppers on the weekends. The dancing fountains at the mall enhance the beauty of it all the more. How popular is Festival City Mall? People normally club together Al Rifai Mosque and Family Park while planning their visit to Festival City Mall. People also prefer to end their day with Festival City Mall. It is a big spacious mall with lots of global brands restaurants and clothing stores. It also has a big cinema with good quality screens and multiple halls. Some bands make festivals at some nights. Great experience. Gigantic modern built city with huge shopping malls, offering local and international products and brands. Plenty of food courts and restaurants and brilliant water and light show at night. Highly attractive place for tourists. From the best shipping Malls in Cairo where you can find all the well known brands and the best restaurants and cafes. Any thing you will want will be inside that mall . Moreover to the attractive designs and the ideal organization, so it’s easy to know the place of your destination . You will feel like you are in whole new world ! A great place to enjoy walking, shopping, eating something in one of the restaurants, or having a drink in one of the cafes,.... you can walk inside or go in the open air area, where there is large steps, you can sit on to enjoy the dancing fountain. The mall is in the settlement area close to Nasr city. Being away from the crowd, but you need a car to go there.